If you've listened to Tales Told by a HIDiot the past, you've heard the name Megan Greener at least once before, and you've heard Brandon Monokian busier-than-a-bee theatrical schedule. Here we focus in on a great collaboration involving the two, Grimm Women. Five actors. Five fairy tale characters. Lots and lots of misconceptions. Forget everything you know about your average bedtime story, because this collection is gonna keep you wide-awake and laughing. We sat down this week to talk to a whole plethora of artists this week who're all working on this darkest of comedies: Brandon Monokian, playwright; Megan Greener, director; and Hannah Rolfes, actor (Red). We've never done an episode with five people in the room, but be sure the hilarity is only increased. Also, know this! Grimm Women is only in town for a limited time. So limited that we were lucky to get them on the show! This Friday and Saturday, May 23rd and 24th are your ONLY foreseeable chances to catch this cast. We'll be there Friday at 9:30, having our fill of entertainment. Did we mention that the theatre is also a bar?! That's right, come to The West End Cabaret Theatre at 955 West End Ave. to not only see a spectacular new comedy, but to have a drink with your favorite podcasting HIDiots. Listen well, friends, and come enjoy the retellings you'll be retelling your friends about for years! 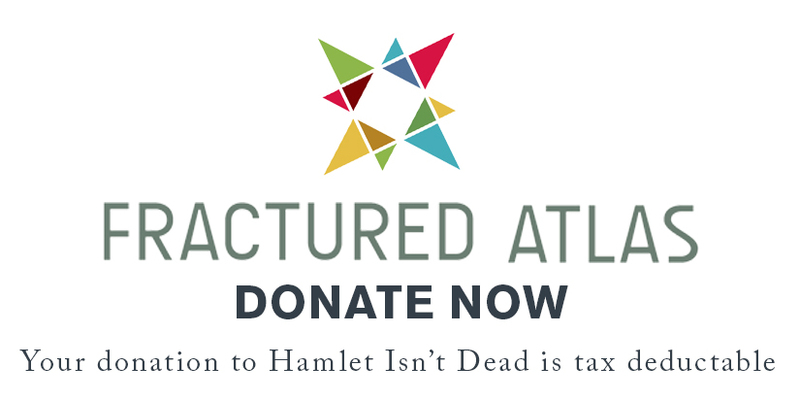 And if you or anyone you know feels the need to join us on an episode of Tales Told by a HIDiot (the world's 567th greatest Shakespeare-related podcast), e-mail us at hamletisntdead@gmail.com and we'll save you a seat!